There’s a broken piece of the American mind running loose in the sagebrush. It’s well armed, overly paranoid and willing to point guns at people they disagree with. We saw this kind of militant extremism during the standoff at the freeloader Cliven Bundy’s ranch, illegal rides on illegal trails that were rightly closed to motorized traffic in order to protect archaeological sites, led by County Commissioners with apparently nothing better to do & now we see, again in Utah, where masked gun-men make threats to BLM employees just doing their job. All in the supposed fight against the tyranny of America’s greatest legacy: Public Lands & the terrifying concept of having to work with your fellow American in order to achieve workable solutions to complex problems. Disagree with me? I’ll point a gun at you. Have different politics than me? Point a gun, make a threat. This kind of militant moronism is taking root deep in the mountain valleys and out on the sagebrush flats. Its leading people to undermine the fabric of democracy and it is fueling the fires necessary to fool people into thinking that elimination of public land is a good idea. In reality, it’s an orchestrated effort by the same group of short-sighted, vision-less profiteers that tried to strip Americans of their birthright for the last 100 years. Carefully crafting their message to avoid their real agenda: selling off public lands, these thieves tell us that there won’t be increased costs because the land will pay for itself. But even a cursory understanding of how public lands are managed and funded shows this to be either a lie or simple ignorance; propped up by a deep seated hatred of the Federal Government. It’s gotten out of hand, and it’s time to stop. The people who want to transfer federal public land to the states are ignoring the opinions of at least three Attorney Generals (Utah, Wyoming and Idaho) who all rightfully state that there is no constitutional basis for transference of public land and that, in fact, the action itself is unconstitutional. Transference also means much less hunting and fishing opportunities for the average American. · State Lands are managed to return the highest possible yield to their school trusts. That means wildlife and recreational considerations are left off the table in many states. · In Arizona, you can only camp on state land for 14 days per year. · In Montana, you can only camp on state land for 2 days before having to move. · State Land sales are often fast-tracked with little meaningful public involvement. It took years to simply establish the right of Montanans to recreate on state lands. We were met with stiff resistance by the same extractive industries who now tell us to trust their beneficence and go along with their plan to raise taxes on livestock producers and sell off massive tracts of your public land. That’s the real goal– sell ‘em off. State lands are not public lands. You have no right to access them like you do Federal Public Lands, which are owned by all Americans. State lands are owned by the state, for very specific purposes. Public Land is managed for a broad array of purposes, including Montana’s $5.8 billion outdoor economy. 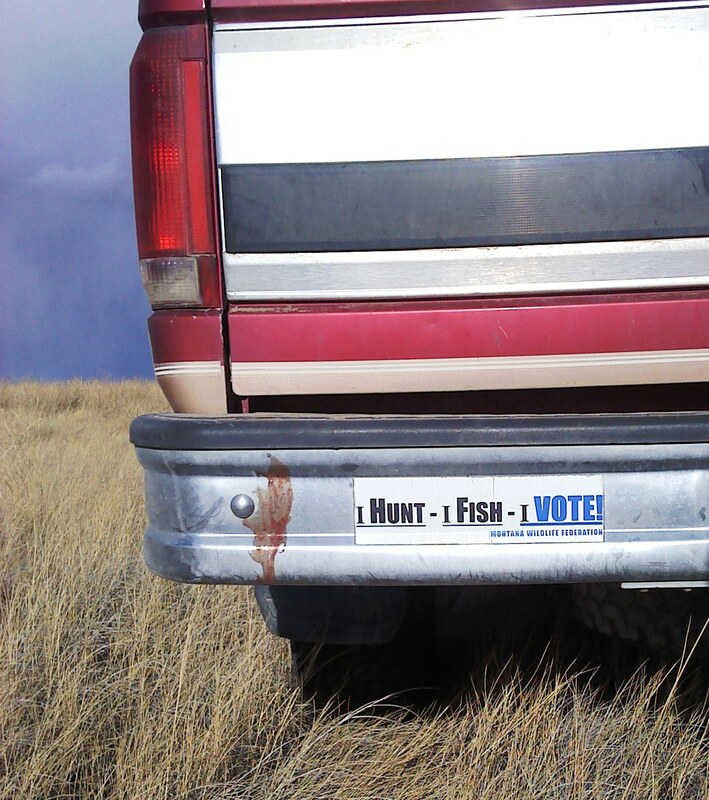 By transferring public land to the state, we put one of Montana’s major economic drivers in jeopardy for the short term benefit of out of state companies who have no interest your ability to hunt and fish. Fighting wildfire in the United States is expected to rise to over $1.8 billion and is expected to rise as much as 30% more with each 1 degree rise in the mean temperature of the United States. In Montana alone, the price tag is between $800 & $100 million dollars per year. Your taxes will be raised in order to pay for the costs now shouldered by states and local governments. Increased cost to livestock producers: Currently, the Federal Government charges $1.35 per Animal Unit Month. The state charges upwards of 300% more in some areas. The reality is increasing costs would put average, family owned livestock operations out of business, leading to the subdivision of vital winter range for elk & deer. That will also lead to even more out of state billionaires buying up land that was once yours so they can turn Montana in Europe when it comes to hunting and fishing. Transference of Public Land also grows state government exponentially. In order for states to properly manage lands these short-sighted crusaders are chasing, state land management agencies would have to stock up on employees just to manage the timber sales, grazing component and law enforcement. Somebody has to pay for that. You can bet it won’t be the industries looking to cash in on the latest manufactured movement to eliminate your ability to hunt and fish. Budgets will grow, state employees will grow and state government will grow while no change in taxation will occur at the federal level. There are a lot of issues surrounding public land management that should and must be addressed. Excessive litigation over timber sales (where the litigation often times has nothing to do with the project itself) have created forests in need of restoration work. Open parks are now masses of second or third growth pine trees, choking out native grasses and forbs that elk & deer need for sustenance. Critics of public lands decry local involvement in planning, yet they never submit their names for Resource Advisory Councils or engage in the myriad of public planning processes already in play. They sit at their computers complaining about the overreaching hand of the Federal Government while ignoring the very real and positive ways to influence decision making – at the local level. If these people refuse to engage in already existing planning processes, then what makes anyone think they will be willing to actually work with hunters & anglers when it they try to sell off America’s treasures?